There’s a flurry of talk about recent events in Arkansas. Scientists and environmentalists are probing as to why 5,000 dead birds and 100,000 dead fish showed up within a day of each other, and just a few miles from each other in Arkansas. Theories range from thunderstorms, disturbances in earthquake zones, hail storms, poisons, disease, or even HAARP (High Frequency Active Auroral Research Program). I don’t want to suggest I have all the answers, but I do have enough information to get us looking at these events with new eyes and at the messages behind these events. We can begin to ask new questions about the nature of these messages. 1. On Thursday, December 30th, a tugboat operator discovers 100,000 dead drum fish washed up along the shores of the Arkansas River near the city of Ozark. Ozark is a civil war landmark and a stop on the Apache Trail of Tears. Ozark is in Franklin County, the northwest corner of Arkansas. 2. On Friday, December 31st, one day later, an EF3 tornado (Severe; winds between 136 – 165 mph) whips through the small town of Cincinnati in Washington County, the northwest corner of Arkansas, 3 miles from the Oklahoma border, and within 40 miles of Bentonville, Arkansas — where Wal-Mart’s headquarters are located. 3. 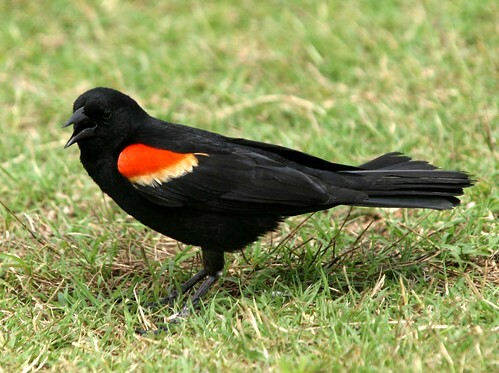 On New Year’s Eve, Friday, December 31st, 5,000 dead red-winged blackbirds fall from the skies in the town of Beebe, Arkansas, 40 minutes from Little Rock, the capital of Arkansas. Two of these events are clustered in the northwest corner of Arkansas. There is a directional flow from these events that occurred in the northwest corner heading downstream to Beebe, Arkansas. How Do We Recognize A Sign? How do we recognize a sign? We use all twelve senses. Our senses are our radar. When a sign greets us, we’ve received a special invitation to listen and dialogue with the Divine. A sign is a call to our attention. A sign stands out amidst the crowd. A sign is a bumblebee buzzing in our car, a bird flying in the grocery store, or a snowstorm in July. This world vibrates with a universal pulse. All things emit and absorb energy: sacred inner beauty. A couch reflects the people who sit on it. A dog emulates the energy of its guardian. A stream carries the thoughts of its community.